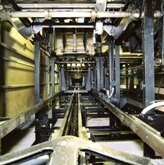 The mechanical conveyor ran in a tunnel under Broad Street, carrying books and manuscripts between the reading rooms in the Old Library (completed in 1619) and the New Library bookstacks (built in the 1930s). The machinery has now been turned off pending the extensive renovation of the New Library and building work to allow reader access to the underground tunnel link between the Old Library and the Radcliffe Camera. Photo by Nick Cistone. 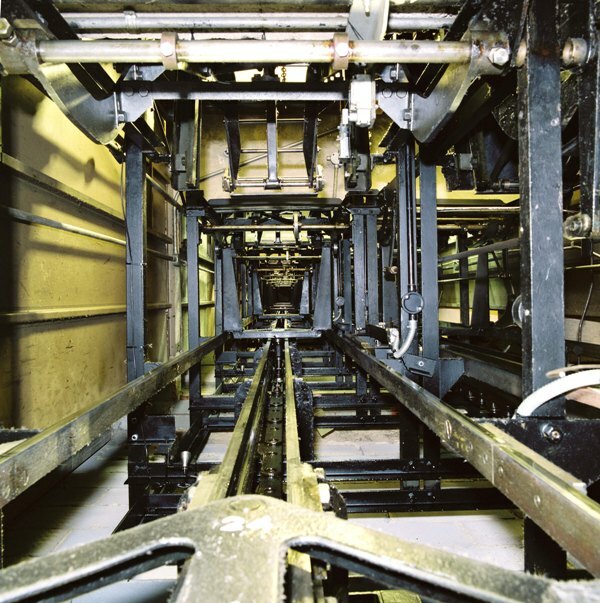 The conveyor at L-floor of the Bodleian Library Stacks (2010). I see the conveyor has come to the end of it’s life but lives on in the name of this newsletter.